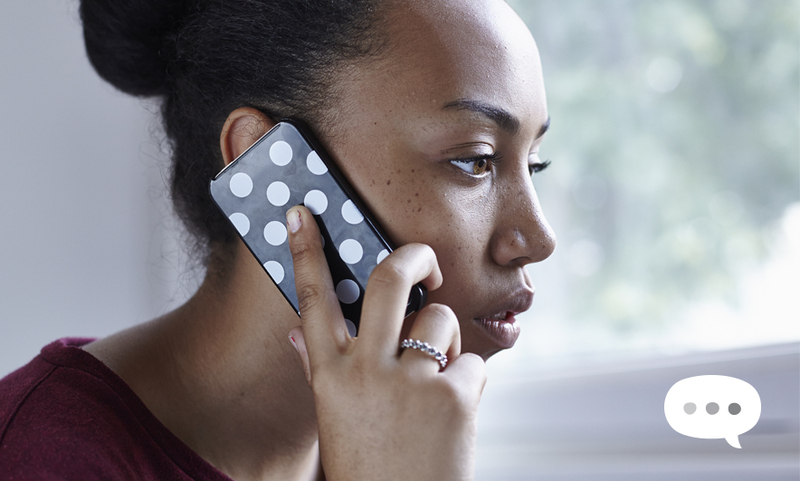 This week, the NSPCC launched its mental health campaign “Are You There?” because we want any child or young person with a mental health concern to have somewhere to turn. We know Childline is already a trusted place for children across the UK. As more and more young people contact Childline about mental health issues, we’re asking you to stand by us as we call on the Government to increase its funding to Childline. Last year the Government pledged to take action and make sure the right support is there early on, proposing in its Green Paper to introduce mental health support, such as counselling, for young people in schools. Childline held over 101,000 counselling sessions last year about mental health issues like self-harm, anxiety or suicidal thoughts and feelings. Two thirds of these sessions took place outside school hours (5pm-9am). We know there’s an additional need for out of hours support and we can all play a part in making sure this support is there. 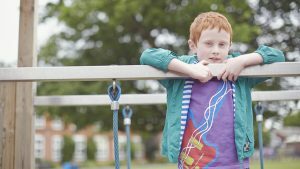 Childline plays a crucial role in helping children who are struggling with their mental health but who don’t meet the clinical threshold for CAMHS (child and adolescent mental health services). In fact more than 50,000 referrals to CAMHS were rejected last year. At present though, our counsellors can only respond to 3 out of 4 children who need our help. More children using our online counselling requires more time and resources. Please join us in calling on the Government to increase its funding to Childline, helping us meet this rising demand and supporting children before they reach crisis point. You can sign our petition and share our campaign amongst your friends and family. Widespread coverage has included: The Guardian, Huffington Post, Daily Mail, Daily Mirror, Sky News, Metro, The Times, ITV News, talkRADIO, Sky News (TV), BBC Radio 5 Live, LBC, BBC News 24, BBC Radio 4, The Sun, Evening Standard, The Herald, Belfast Telegraph, South Wales Echo, Yorkshire Post, Kidderminster Shuttle, Plymouth Herald, On the Wight and Oxford Mail along with many other regional and local outlets. We also had interviews with our spokespeople, along with young people supported by our Participation team to share their stories with the media. Sutton NSPCC Autumn Fair on Saturday 18th November from 10am to 2pm will be raising funds for the NSPCC for its numerous projects including School Services, Counselling, Specialist Centres, Helpline and more. We have a variety of stalls including tombolas, raffles, books, cakes & preserves, nearly new, cards and stationery, beauty products, craft, and more. We also offer out for a small fee, stall places for other charities and smaller businesses or traders who may also wish to promote and sell their products. Please contact us on our email for further information. The government has conceded on our central call for the Digital Economy Bill. Karen Bradley, the Culture Secretary, has said that the government will fulfil a promise “to keep children safe from harmful pornographic content online”, by appointing a regulator to block websites that fail to check ages of user from operating in the UK. This follows research commissioned by us and the Children’s Commissioner for England. This is a huge step forward and testament to our work with backbenchers, officials and ministers on the issue. As the Bill moves to the Lords we will continue to push our lines on parity of protection: ensuring that children are as safe online as offline. …with a letter from Santa. Choose from 8 enchanting stories and new illustrations. Every letter can be personalised with a child’s name, age, hobbies and more. 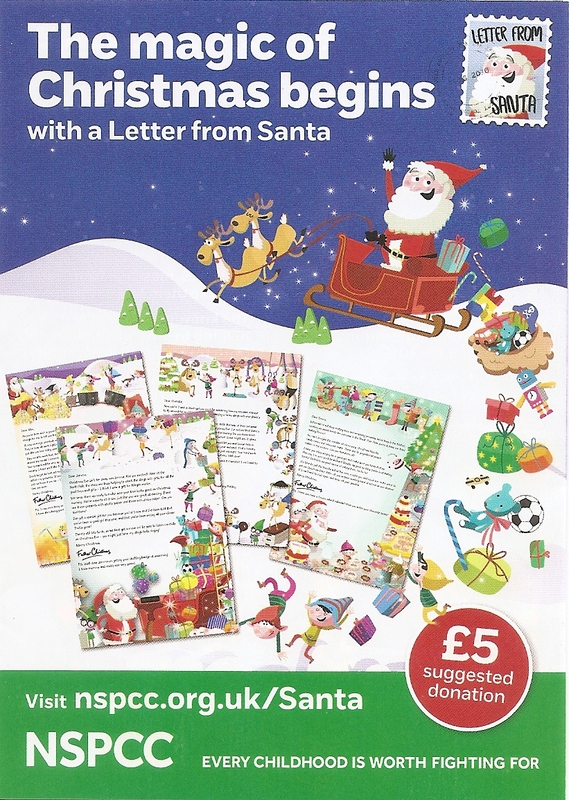 Proudly supported by Lindt, Letter from Santa helps bring the magic home to children this Christmas. 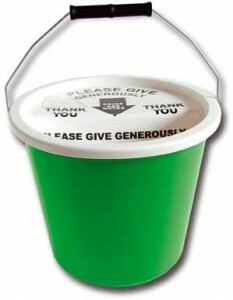 A suggested £5 donation* for every letter helps us cover the cost and means we can be there to keep more children safe. 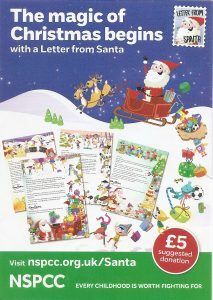 Start your letter here – Ho ho ho..! Another political success this week was for Looked After Children in the Children and Social Work Bill, in its third reading in the Lords. Our amendment on the introduction of Mental Health assessments of Looked After Children and introduction of designated health professionals was discussed, and Lord Nash committed to revisit the health assessments guidance. Six to eight pilots will launch in April-May 2017 to test integration of Mental Health assessments alongside physical health assessments on entry to care. Lord Nash also made clear that the remit of the Expert Working Group has extended to include Mental Health assessments, which wasn’t included previously. These are huge shifts in the government’s position on the need and value of mental health assessments for Looked After Children.